Our yacht harbour berth-holders and visitors have a feast literally on their doorstep. Dartmouth's restaurants, bistros, pubs, cafés and tea rooms are fortunate to have a rich natural larder to choose from. The sea, our lush farms and sheltered orchards have inspired many award-winning producers who have put South Devon on the culinary map of Britain. 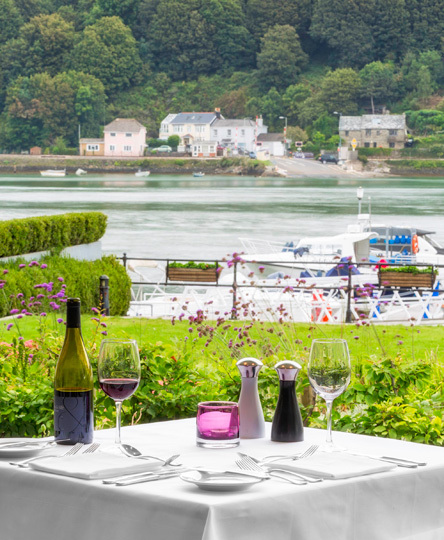 Right next to the yacht harbour, our waterfront River Restaurant has a reputation for fine dining using superb local ingredients from the South Hams. 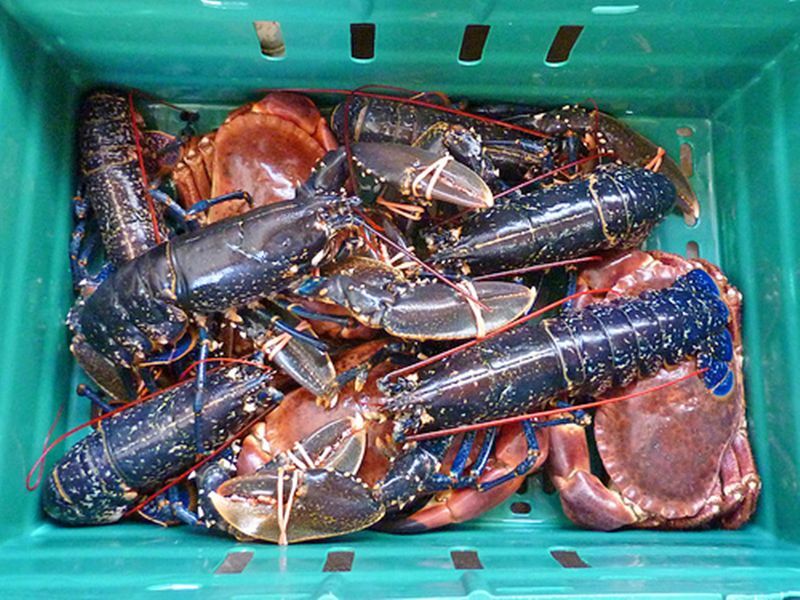 Seafood specialities include Start Bay scallops, sea bass and crab or lobster straight from the fishing boats – the best in the English Channel. Our oysters come from nearby Bigbury Bay. Devonshire meat is out of this world, especially our succulent lamb direct from a Blackawton farm. In town try the Seahorse where Mitch Tonks and his team serve exceptional seafood cooked skilfully and simply, often roasted over an open charcoal fire. Also worth exploring . . . Browns, Anzac Street Bistro and Taylor’s . 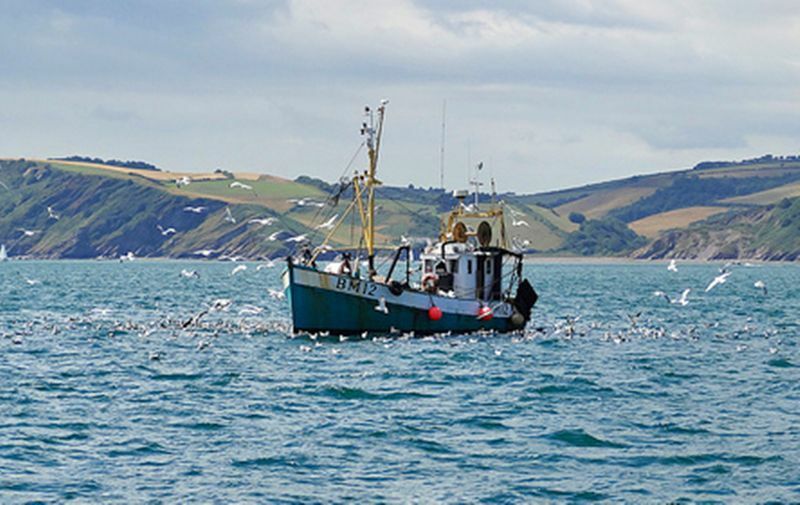 . .
Every day, all year round, fishing boats work off our Devon coast to harvest an amazing variety of fish and shellfish. You'll spot them when cruising, bright splashes of colour against the cliffs or empty sea. 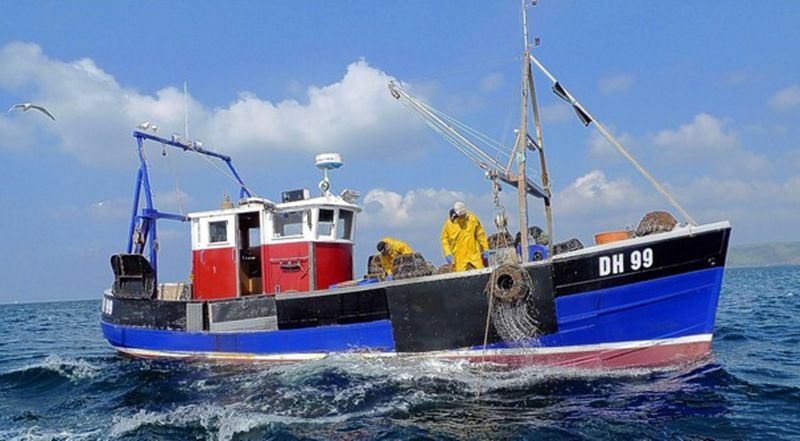 Small trawlers sometimes fish close inshore and dive boats gather scallops by hand. Crabbers often range far out, working strings of pots several miles long. Meeting them mid-Channel gives a feeling of company. 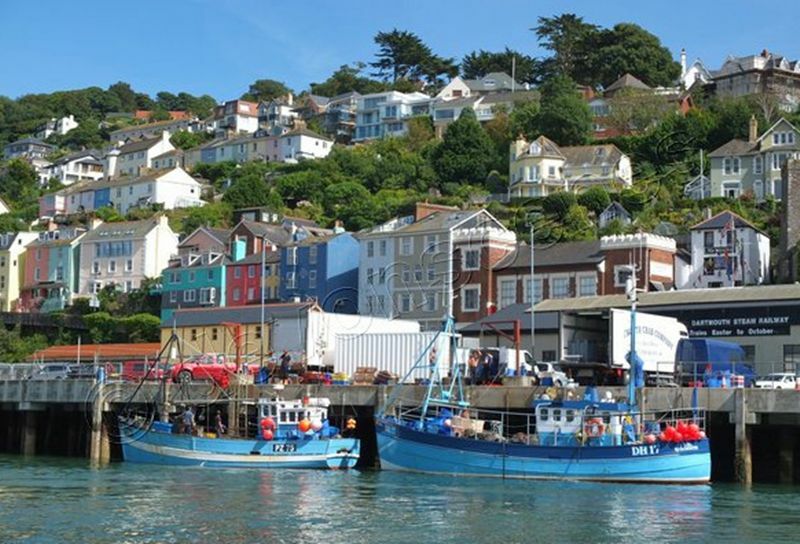 Catches are landed at Dartmouth, Salcombe and at the busy Brixham fish market. Whenever you order fish, crab or lobster in a Dartmouth restaurant, it will have been swimming about earlier that day!